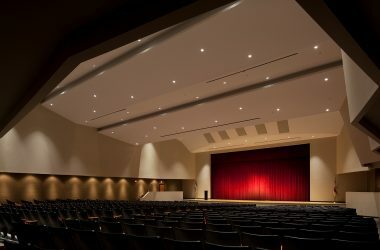 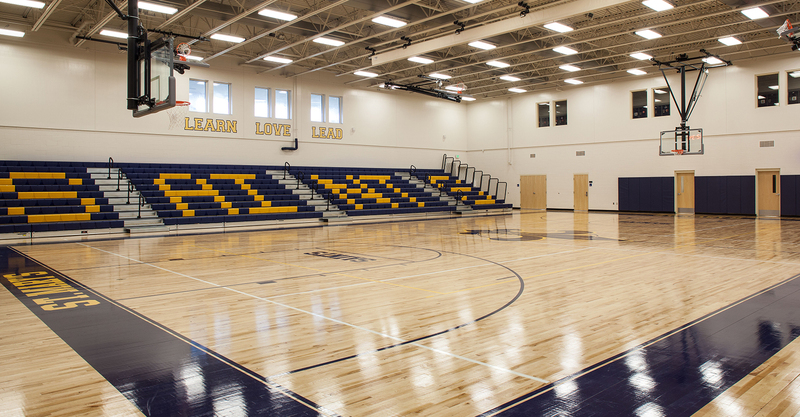 This project involved the replacement of an existing undersized gymnasium with a new athletic facility including a multi-court gymnasium, locker rooms, athletics program support spaces and administrative offices, multipurpose room, food service facility, outdoor covered dining area, school spirit store, and miscellaneous instructional spaces. 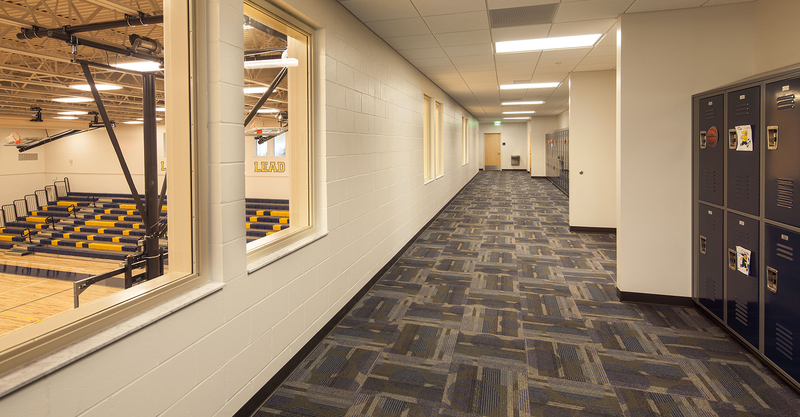 The facility features a hospitality/VIP suite allowing views of both the gymnasium courts and outdoor athletic fields. 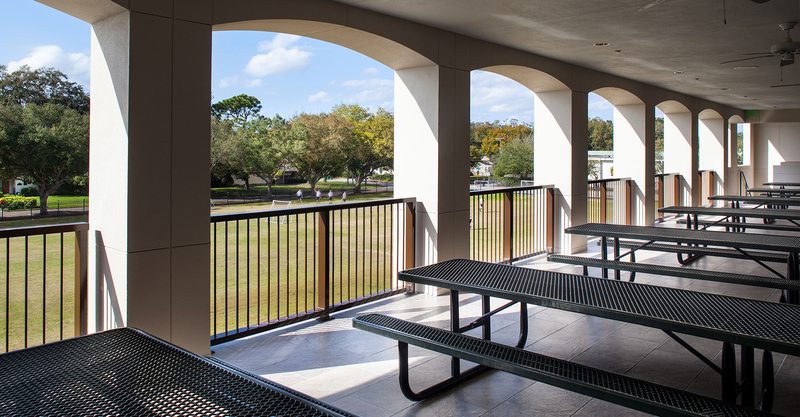 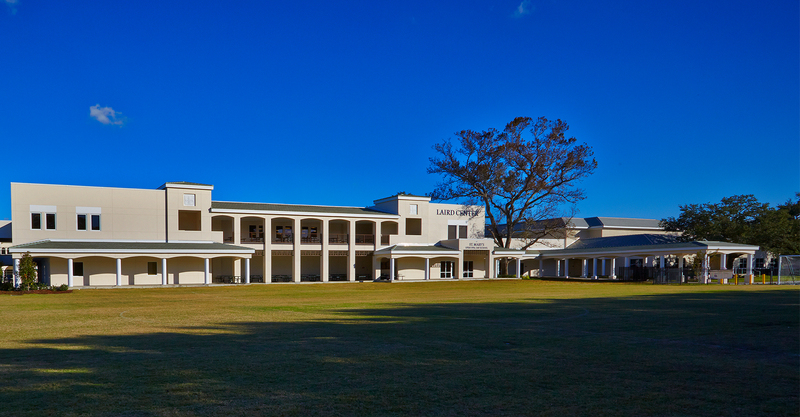 The athletic facility connects to an existing two-story educational building via covered walkways. 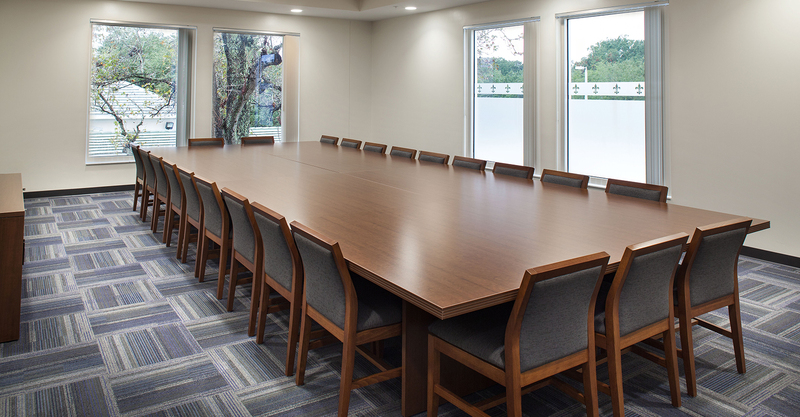 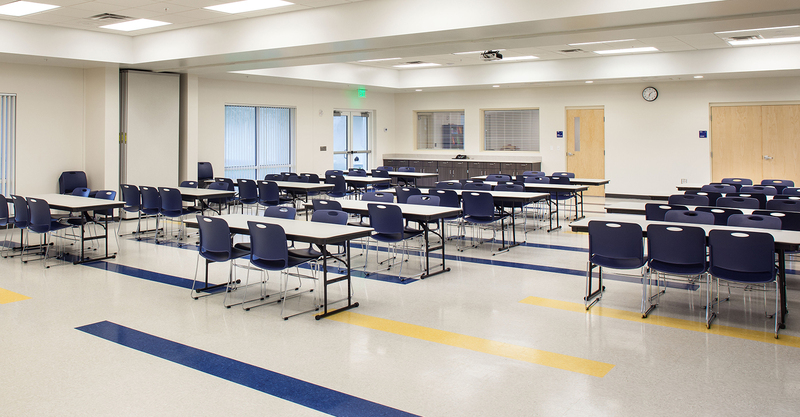 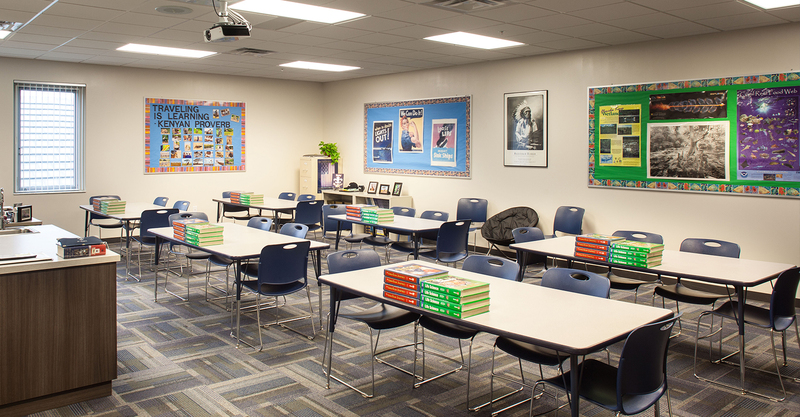 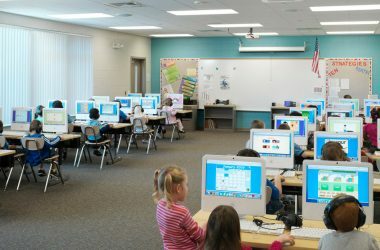 Spaces provided in the new athletic facility allowed spaces within this education building to be remodeled and repurposed as expanded administration and teacher planning areas. 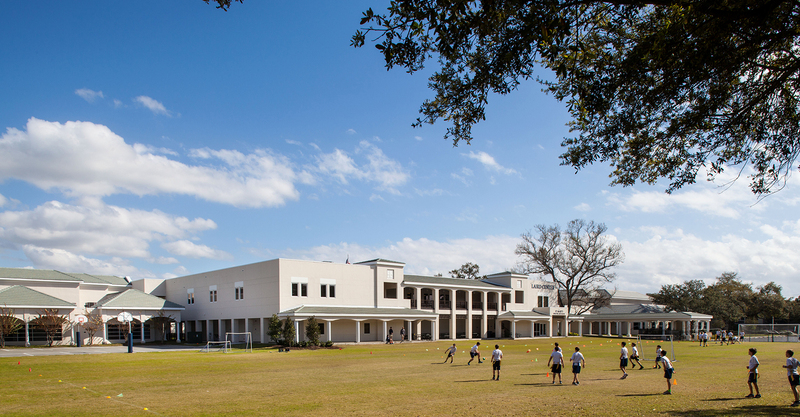 The project also included expansion of existing athletic fields, related site upgrades, and a variety of exterior space enhancements including a new student pick/up drop off drive pavilion.